It is just two weeks until Lucas has his next operation. Wow, where did that six months go? This is still under a general anaesthetic and whilst no bones will be broken, he does need to have the metal pin that was helping fix is realigned pelvis, removed. Another couple of weeks of school. More anxiety and trauma for him but we are keeping things positive and the promise of a new Build-A-Bear to take down to theatre with him, seems to be helping. I feel as if we have really grown as a family over the past year, we have come to terms with DDH being a part of our life and accepted that nothing is set in strong for Lucas and that we have to work with what we can and ensure we are strong and happy together. As with all operations, a pre-op assessment is needed. These are pretty routine for us these days and Lucas takes them in his stride (no pun intended). 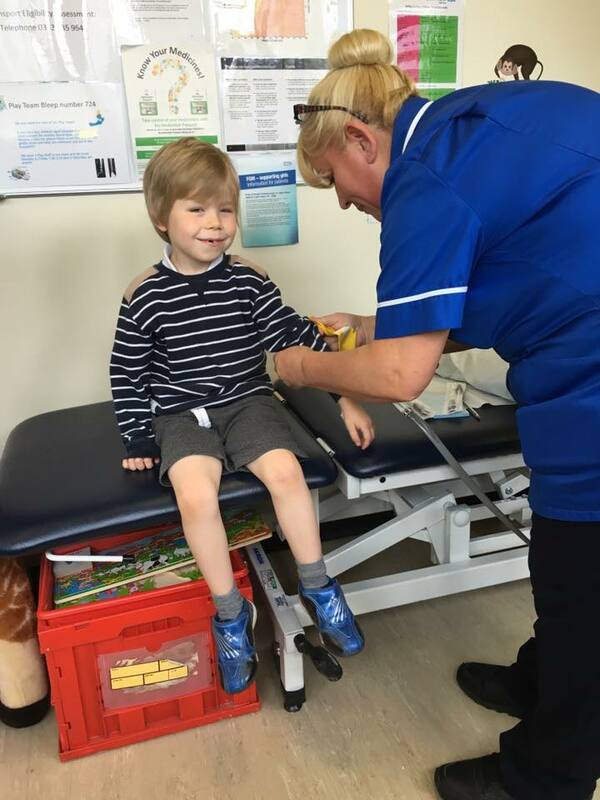 It helps that we have a brilliant nurse who Lucas loves at the Royal National Orthopaedic and whilst he can be nervous with adults he knows well, he loves Tracey and will happily chat away to her as she takes blood and checks his weight. We decided to make a day of it last week so after and had lunch together on the way home, but not before we had stopped off at the Coxen Ward. Lucas has been treated by the team on this ward for nearly seven years and they are amazing. The doctors, nurses, registrars, paediatricians, cleaners, receptionists, play therapists and porters do all they can to make life as easy as they can for patients and parents. As his alter-ego, Spica Warrior, Lucas boldly went onto the ward with a gift for the other children. Lisa at Bump PR has responded to a media request I sent out and as a mother herself she wanted to do something to help Spica Warrior and our work. She donated a box of fantastic SmartMax magnetic building toys and Lucas beamed as he handed to over to play therapist, Michelle, on the ward. These are great toys that children can use to build anything their imagination wishes so whilst they might not be able to run around and walk, they can have fun creating something amazing. 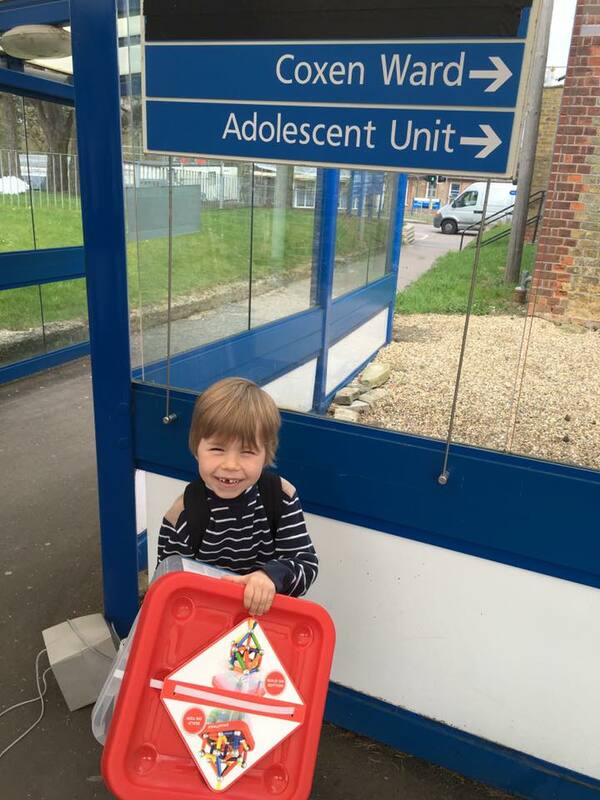 It was great to know that we were helping other children as they recover from their treatment and I have a sneaky feeling Lucas will want to have a go with those bricks when he is in for his surgery on 19th May. Thank you Lisa for supporting our charity and helping other children on their journey.